Hey, Aldrine2016 here. I present to आप a new Animaniacs प्रशंसक fic. It's a bit short so who cares? Anyway, enjoy and comment! It was a typical day-off for the Warner Brothers (and the Warner sister!) in the water tower. Yakko was watching this bizarre, insane clip of a man with a केला, केले in his ears (link) while his younger brother Wakko was listening to a hip-hop MP3 tune and burping musically at the same time. We start the fanfiction in a typical Looney Tunes "Rabbit Season, बत्तख, बतख Season" cartoon. Bugs: [points the gun to Daffy] बत्तख, बतख season! Daffy: [aims Elmer's gun at himself] बत्तख, बतख season! FIRE!!! 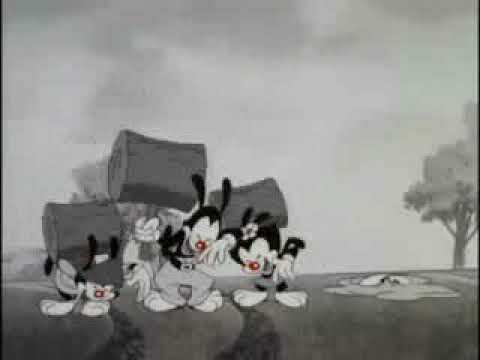 As Yakko, Wakko and Dot were about to return to the studio, a प्रशंसक of their दिखाना saw Dot's great flipped hairstyle and began to freak out with excitement. At first, Dot was confused, but since she was no longer being ridiculed for her hair, she decided to grant her प्रशंसक his request. Hello, Aldrine2016 there. Since either Seanthehedgehog या AnimeFan66 failed to write my part 2 request, I think this will be the first part 2 of an Aldrine2016 fanfic written द्वारा myself. Blossom: [eating her mac and cheese] They कहा they got kicked द्वारा the park's statue for going crazy over it. Seriously, are they joking? Bubbles: [eating her mac and cheese] And then the evil Mojo Jojo melted the statue and announced to us that he is going to cause और destruction, [begins to impersonate Mojo] because he is.... Mojo Jojo! The following was requested द्वारा Aldrine2016. Wakko: All because we कहा hello to it. Yakko: Uh, did one of आप three do that? 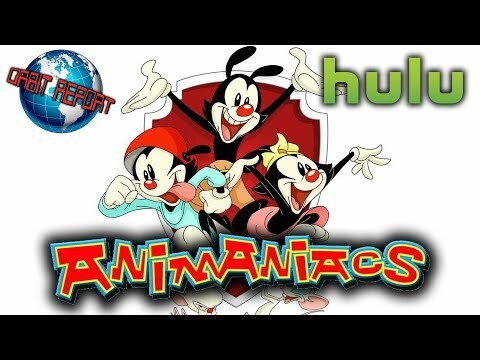 a video जोड़ा गया था: Animaniacs - We Smashed Buddy! What does Yakko and Wakko always Say?